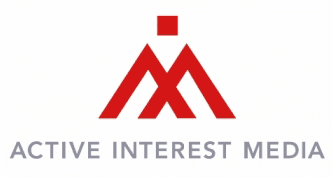 Active Interest Media is looking for a Producer to join our growing Online Education Department. Engaged audiences for our many brands–including Yoga Journal, Ski, Warren Miller, Backpacker, Climbing, Clean Eating, Vegetarian Times, Garden Gate, Cuisine at Home, SAIL, Power & Motoryacht—are looking for in-depth content to help them learn more and be better at the things they’re passionate about. If visual storytelling is in your DNA and you find joy in using your creative muscle to uplift the world around you, while creating meaningful educational content, this might be your dream job. We’re looking for an experienced video producer who knows how to wrangle content and all the ins and outs of multi-day shoots, as well as navigate the intricacies of pre- and post-production. All qualified applicants will receive consideration for employment without regard to race, color, religion, gender, sexual identity, national origin, protected veteran status, or disability status. Any offer of employment is contingent upon the results of a pre-employment reference check. Applications without a cover letter, resume, and link to your video portfolio will not be considered. Please apply to aimonlineeducation@gmail.com and indicate the job title you’re applying for in the subject line.